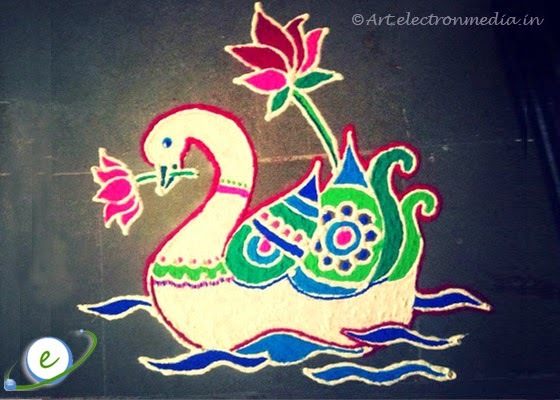 Simple elegant and artistic Swan Rangoli design welcomes every guest in your doorstep with big smile on their face. Used bright colors to highlight the features of swan which is swimming in a lotus pond. Did you find this post useful? Feel free to share your feedback in the comments area. If you are interested to be notified for the new posts from us, then you can make use of the subscribe option available on the right side menu. Help us to improve our search rating by recommending this post to Google using the Google plus button below.